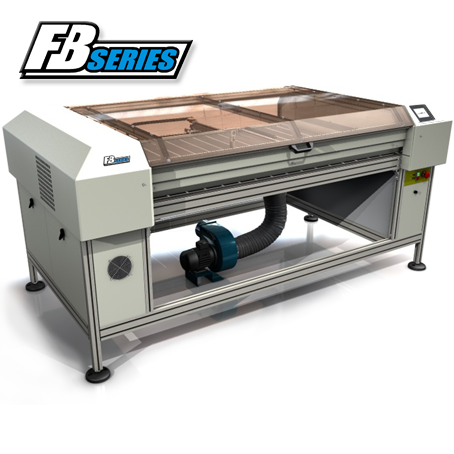 The FB1500 laser cutting machine has been designed to handle larger format material to give even more versatility and higher production rates. 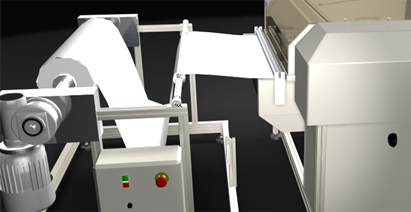 In co-ordination with the optional precision conveyor and roll handling system or our shuttle bed system, large quantities of production can be achieved with minimal user interaction. We use a sealed CO2 air cooled laser, which is a certified Class 1 laser product, being interlocked and fully enclosed while cutting. This machine is available with a 30watt, 50watt, 100watt and 200watt laser. 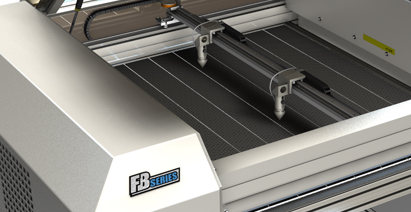 The FB1500 can cut a wide variety of materials like leather, acrylic, mdf, ply, cardboard and paper. You can also engrave and raster images onto surfaces such as wood and plastic. The control of cutting is so accurate you can engrave onto paper. The air irrigation system attached to the cutting head sends a stream of air or inert gas to the point of cut, this enables you to achieve a consistently clean cut. 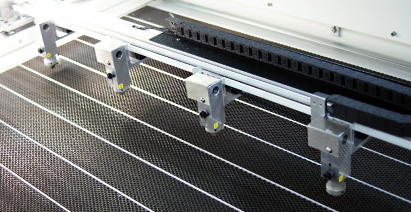 The laser is controlled by the cutting software that is included with this machine. The material manager allows you to store a wide range of materials, so you can instantly change from one material to another. Adjustments may be made to the cutting speed and the power so a fine, clean, accurate depth of cut may be achieved. 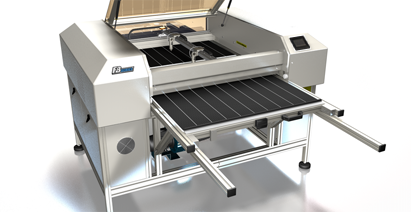 When you purchase a laser cutter from CadCam Technology we automatically include installation and training. 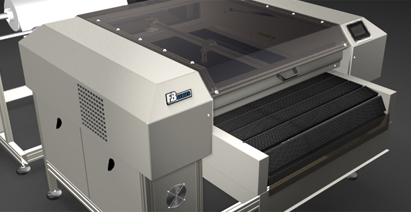 Visit our site in Nottingham for a demonstration of our laser cutting machines. 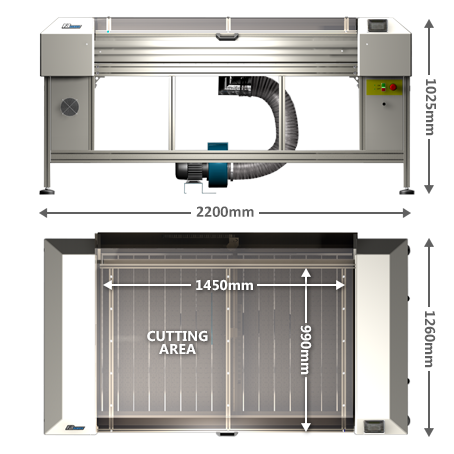 Machine options Our FB laser cutters are available with a variety of options to tailor each machine to your exact requirements. 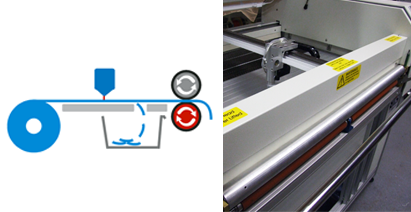 This motorised roll handling system automatically feeds material to the cutting bed removing any fabric tension or distortion to ensure neatly loaded material and an accurate cut. The shuttle bed allows loading and unloading of materials while the laser continues to cut. This saves on loading time, ideal for a high production environment. Doubles your production speed by using two cutting heads at once. Increases your production time even more by using four heads at once. Ideal for repetitive patterns and high production. 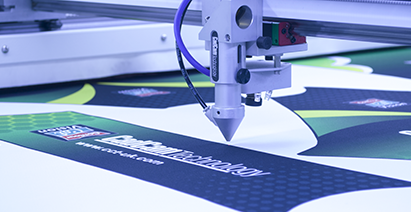 An innovative product to help streamline your production or provide a solution to problems that previously meant having to turn work away.With our optical laser cutting system you can cut very precisely; woven, printed or embroidered badges or designs. Our own special software continously checks registration points in the design and automatically adjusts the pre drawn shape for distortion or rotation and will cut out your design quickly with the finest quality cut. You can mix and match the machine options available to make sure that you get the perfect system for you and your company. As our machines are designed and developed by us at our premises in Nottingham UK we can also make custom alterations to any system to suit your needs. Email info@cct-uk.com for more info.